A best CRM (Customer relationship Management) tool can serve as an essential part of a non-profit or small business growth as it offers more than a contact management system. A best CRM tool often consolidates customer data and relevant activities, it also keeps track of tasks and set reminders to accomplish the same. 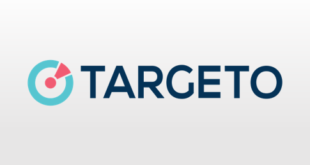 Now the matter is on what grounds a best CRM tool should be judged. So, to shortlist the best CRM tools for small businesses we looked over several CRM, compared them on numerous grounds like pricing, contact management, user friendliness and many more, finally out of them, we shortlisted Top 10 CRM for Small Businesses, and narrowed it to three ZOHO, Insightly and Nimble based on functionality, usability, reliability and most important consideration was price. Zoho CRM generates sales not work, it captures prospect leads from your website and inline sales processes. Zoho can be considered as best CRM tool for small businesses, even for non-profit organizations. Zoho CRM has a simple and basic design and functionality features that are easy to use. 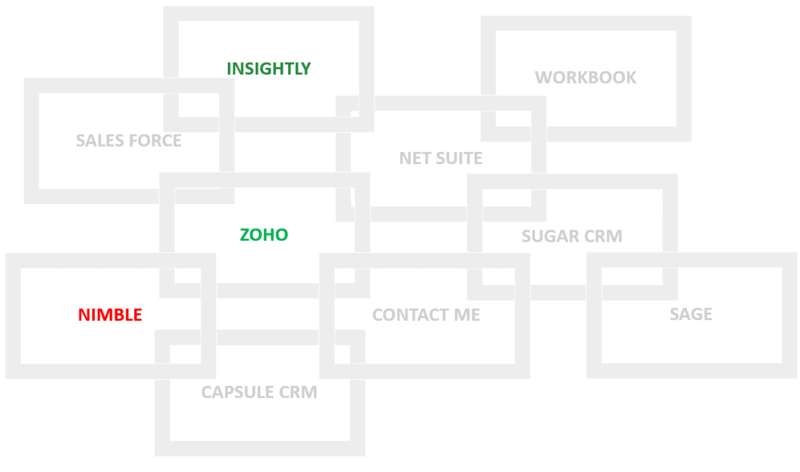 Zoho CRM has a user-friendly interface and is easily customizable. It is primarily functional to generate leads and increase sales records. It is fast and manages contacts pretty well. 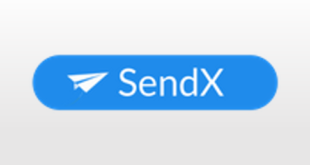 It is a built-in social CRM and is easy to deploy. You might need to use some other Zoho tools for integration with other applications. The social CRM is not as good as the other tools. Email templates are not available while doing the customization. Insightly captures market through its remarkable integration with Google services like Gmail, Google Apps, and Google Drive lead it to its rapid and early growth. Its mobile app works with Android devices and iOS. Insightly isn’t influential enough for big enterprises, but it’s an affordable, and appealing CRM option for start-ups. Its support for Google services is its key-note feature, but it now fits well with Office 365, Evernote, MailChimp and Outlook, too. This tool does a very good job at providing security of data. It keeps all the information safe. It lets you work smoothly by providing help and guidelines to use the tool. Marketing automation feature is not there. No other fancy features are there. Nimble links all your customer social accounts to provide a better picture of their connection with your business. Nimble offers a cloud-based CRM app that offers integration with social media channels like LinkedIn, Facebook, Google+ and Twitter. Nimble is one of the best CRM tools in the market. Nimble is a low-cost and highly featured CRM that provides almost all the services a small business might need. Nimble also has a mobile app for iOS which doubles its popularity. This tool offers some good features in contact management. It lets you create an insight report on contact management. Rules tool is a significant feature. It provides updates and suggestions for better business. The signals tab keeps you updated. Not a full-fledged CRM tool. Essential tools like marketing automation and workflow management are missing. The user interface is not unique. Zoho and Insightly is a perfect fit for small businesses in comparison to Nimble if the consideration is a reasonably priced CRM. Although Nimble charges little extra it comprises all the features packed with it. While Insightly is offering 1GB storage facility in the low cost. The decision is all yours as access to communication tools and prevailing reporting is the must to have a factor of CRM and all three are well equipped with this feature. 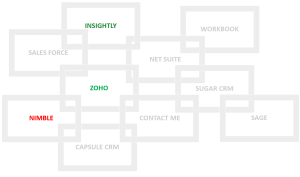 You can find the detailed CRM tools product reviews for Zoho, Insightly and Nimble.